Who likes Super Saiyan card games? 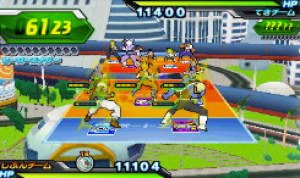 On Saturday we reported a rumour that Namco Bandai would be be bringing the arcade game Dragon Ball Heroes to the 3DS, in Japan. This has now been confirmed, as Namco Bandai has opened up an official website for the 3DS version — Dragon Ball Heroes: Ultimate Mission. You can check out the website here. While it's currently a little bare, Namco Bandai has provided a few screenshots of the 3DS version and the information that, contrary to previous reports, the game will actually be released in Spring 2013, not this Winter. Just bring it to the US, and I will be happy. I VERY much doubt it'll make it here. The arcade game is based on collectible cards in Japan, and they've already put out several series there. They'd have to start from scratch here, so it's a big monetary investment. Dragon Ball is a big money maker but I don't think Western audiences are as interested in collecting cards to play a video game. I'd love to be wrong, though. I've imported several starter editions and booster packs of the Dragon Ball Heroes cards and they're phenomenal. I especially love the ones based on new "generic" characters for the game, like female Super Saiya-jin and more characters from Freeza's race. I hope it includes ghost Nappa. @DeMoN-13ruce Not entirely true. There are some pretty good card games out there. Are there more episodes in Japan than North America because some characters are unfamiliar to me? @Superconsole Yeah, the card battle system has an established fanbase in Japan as it is; it's the sixth entry in their Carddass arcade games that have been coming out since 2005. 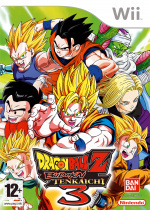 Dragon Ball Heroes (there's no Z! The series as a whole is just Dragon Ball!) is just the first one to get the rest of the world talking. You'd be surprised, though, Dragon Ball is still incredibly popular the world over. It's not at "fad" status in the West anymore but there's still a large, dedicated fanbase. I've been watching it in Japanese for about seventeen years now, though, so I'm probably biased.